When you bring temporary staff into your company, their ability to succeed in their roles can have a significant impact on the success of your company as a whole. It is therefore critical to choose a staffing agency that can provide reliable quality and service to your needs. There are many criteria you can use to evaluate a potential staffing partner. Today we will discuss our top 3, and how they are predictive of successful outcomes. These are the areas of business development that we at Integrity Staffing Solutions focus on the most, because they are the most important to our clients' success. 1. Dedication to associates' success. The agency you select should do more than just bring people in off the street. It should actively work to promote their success on the job — through training, support and incentives to grow their careers. Formal programs and procedures should be in place that you can review. Example: Every Integrity associate receives pre-assignment orientation before they begin work at your job site. And a trained HR rep is always just a phone call away to resolve any questions. 2. Consistent innovation for process improvement. The employment industry doesn't stand still any more than any other industry does. Your staffing agency should be constantly working to fine tune — or completely reinvent — how it goes about finding, hiring and retaining the associates it assigns to you. Example: In early 2015 Integrity designed and built its own proprietary system — Op Engine — for better control over online recruitment efforts and applicant tracking. This new system has improved both speed and relevance. 3. Proven experience and growth in the industry. As the saying goes, nothing succeeds like success. 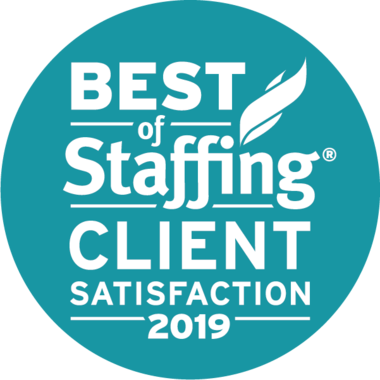 When a staffing agency already has an excellent track record with businesses like yours, you're more likely to be satisfied with their service as well. Example: Integrity Staffing Solutions was 37th on the 2014 list of fastest-growing U.S. staffing firms. 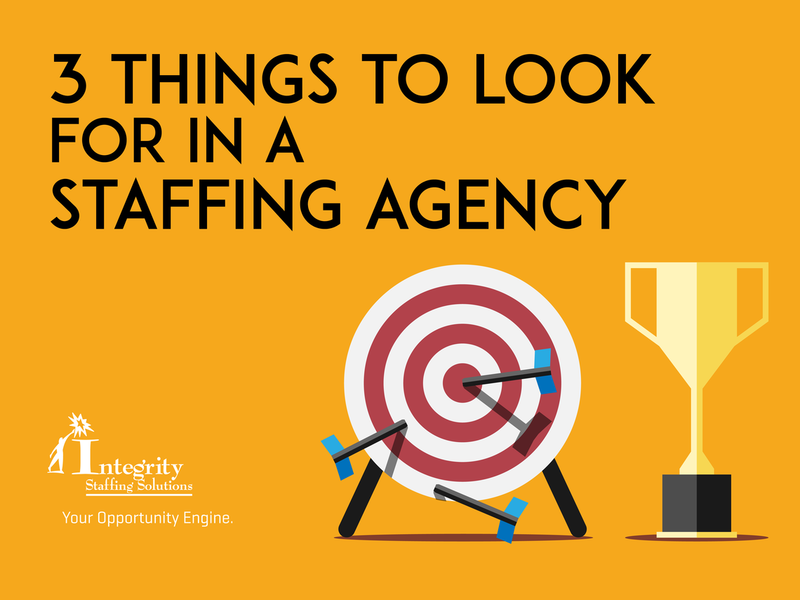 A good staffing agency can be a positive force in the economy, by generating opportunities for people to advance their careers and communities. It can also be a great asset to your business. Choose carefully, taking into consideration these 3 factors, and you can look forward with confidence to a successful partnership.